Jockey Harry Beswick was unseated in bizarre circumstances at Kempton after his mount Dark Energy collided with a family of swans. 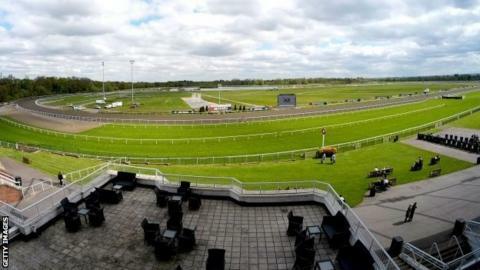 Both horse and rider were unharmed by the incident, which occurred after the fourth flight of the kempton.co.uk Amateur Riders' Handicap Hurdle. "A mother with two young flew in just as the horses were coming round," said course clerk Barney Clifford. "Thankfully the swans are OK and the jockey and horse were OK," he added. "Because we have so many swans at Kempton, we have procedures in place where we go round and chase them off if they try to get anywhere near the racing line. "It was just one of those things."